Plumbing, Lakeland, FL | A Step Above Plumbing Inc. Plumbing, Lakeland, FL | A Step Above Plumbing Inc. Since 2003, we’ve created a reputation for ourselves as the plumbing company to turn to in Lakeland. When something goes wrong with your plumbing system, the situation can ruin your day if you don’t know where to turn for help. However, as long as you reach out to us at A Step Above Plumbing Inc., you have nothing to worry about. 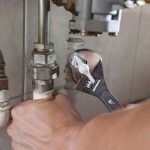 We’re a professional plumbing company that’s seen it all, and we can take care of any repair that pops up in no time. Since 2003, we’ve created a reputation for ourselves as the plumbing company to turn to in the Lakeland, Florida area. When you have us come to your home to help you out, you can rest easy knowing that we’ll show up on time, assess the situation correctly, and fix the problem efficiently and effectively. After we’re done, you won’t have anything to worry about. Our ability to tackle plumbing repair projects of all types and sizes isn’t the only reason why you should let us help you out. We also have three master state licenses and hold exceptional customer service above all else. We’re always available to answer your questions, and we’ll do whatever it takes to ensure you’re happy with the quality of our workmanship. The next time you need help with your home’s plumbing in Lakeland, we’re the ones to call. Contact us at A Step Above Plumbing Inc. today to find out more about what we do, our proven processes, and what sets our company apart.